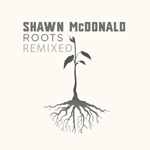 A mi en lo particular me encanta la buena musica,desde las rancheras hasta electro de tipo, house, chillout, phsyco,trance, y es por eso que sale a la venta la version remix del nuevo disco de Shawn Mcdonald llamado Roots, es tipo In my Arms Remixed de Plumb. Aqui les dejo lo que me dijeron que les dijera, hehehehe. Roots Remixed will be available digitally on June 24th and features 6 “mood-setting” remixes of tracks from his recent studio album Roots. 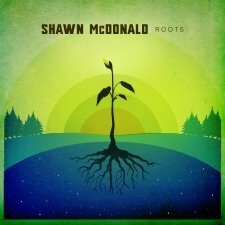 ChristianMusicToday.com has posted an interview with him about Roots, which continues to receive excellent media reviews. Unlike before, he collaborated with other writers including Jon Foreman (Switchfoot) and Marc Byrd (The Choir). Roots received a near-perfect rating from ChristianMusicToday which compares its charms to the work of Jack Johnson and John Mayer. CCM Magazine hails the set for its “expansive musical vision and brilliance.” Learn more and listen at Myspace . Also, stay up date on tour dates, videos and music with his new interactive widget ! Add it to your blog or website and share it with others! Ke genero de musica te gusta a ti? Categorías: musica | Tags: 24, electronica, june, junio, mcdonald, musica, remixed, roots, shawn | Enlace permanente.